Just bought this today. The performance is good and worth having. The recording is unlistenable at points. 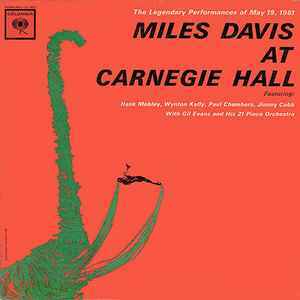 When Miles plays loud, the recording is oversaturated and highly distorted. I don't know if I will listen to this much -- a shame because it is such a great cast of musicians. Such as powerful performance. Recently rediscovered my cassettes and it sounds just as great as it always has. Legendary performance and such a big sound coming off a 55 yr old pressing is just the coolest. I have the purple label mono unfortunately in less than VG shape and unable to compare the pressings. Does anyone know about the Mono 6 eye Canada press?